I have read previous books from Katie and I liked them. I hadn't seen any until now. She still gets her characters and story lines together. This is a bit of a scary book. Kaylee was at a party and she found a torture room and made a run! Hugh had a bullet in his leg and to rest his leg. Hah! Kaylee had to change her name and lives with a family of 5 to hideout . She meets Hugh and his K-9 dog Lexi. Gracie and Hugh had both attacks to kill. Gracie and Lexi stepped on a deck overlooking a cliff. It cracked and Hugh saved them. You will have to read to see how they get out of trouble. Having friends is a good thing! There are twists and turns you wouldn't even think of. I think there will be a next book in the series. I hope you have tissues. This is a quick read. You should check out this story. I am sure you will like to read this book. Don't let this book slip away from you! Enjoy reading this book! I volunteered to read and review this book. I liked this book. It wasn't perfect but it was definitely entertaining. I really enjoyed the first book in this series, Run to Ground, when I read it a few months ago so I was pretty excited to read Hugh's story. It was a pretty fast read for me since I had a rather hard time actually setting the book aside. The book opens with Kaylee in her old life. She witnesses a horrifying crime and becomes a target herself. In order to stay safe, she changes her identity and starts all over. Kaylee, or Grace as she is now called, moves in with Jules and her four siblings. I was really happy to see all of the wonderful characters from the first book of the series having such an important role in this book. Grace is slow to adjust to her new life because she is living in constant fear. Hugh is on leave as he recovers from a bullet wound and he is driving everyone crazy. He keeps showing up and getting involved in things when he is supposed to be resting. He thinks that Grace is being completely honest from the first moment he meets her. He becomes determined to find out what her real story is. So like I said earlier this book wasn't perfect. Hugh crossed a few lines that kind of bothered me. It was like the man had no boundaries. A locked door....no problem, because he would find a way to get in anyway. This kind of behavior seemed to happen quite a bit at the beginning of the book but did lessen as the story progressed. I think that Grace let him off a little too easy a couple of times in the book. I did like Grace and Hugh together. Grace is honest with Hugh about her past as soon as it becomes a safety issue and then they really do start to become a team. There were some pretty exciting scenes in the book that really had my pulse pounding. They did have great chemistry with each other and I really enjoyed their banter. I would recommend this book to others. I enjoyed this action packed romance with wonderful chemistry between the characters. 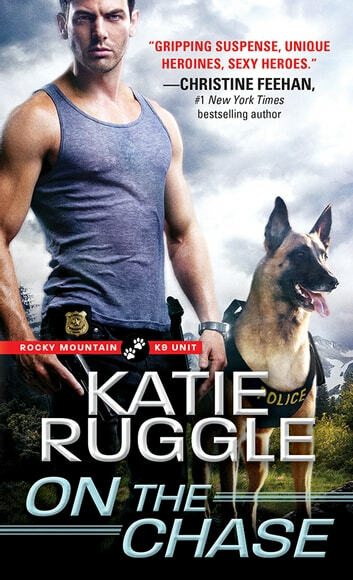 I am looking forward to reading more in the great series from Katie Ruggle very soon. I received an advance reader edition of this book from Sourcebooks Casablanca via NetGalley. Another good book but it is my least favourite of the series – it still has a great plot, good twists, strong characters, intrigue, drama and steam, but there were times when I found Hugh a little bit too much. Yes he is the cheeky, fun one of the trio, but at times I found him a little overwhelming – this is just my personal opinion of course but if I was Grace there were just as many times that I would have punched him as kissed him! Having said that a lighter character is needed after Theo’s dark and broody and Otto’s direct and straight to the point personalities and let’s not forget he’s a cop, a very injured cop as he keeps laying his life on the line to protect others! So although he is very full on, with the attention span of a mischievous puppy, he also has a heart of gold and protects without question. Both Grace and Hugh are startled at the speed they fall for each other, although they are helped along by the high drama situations they keep finding themselves in, they both fall hard and fast….now all they need to do is stay alive long enough to tell each other! Another great read in this series. Obviously all these stories join together in some form. There are evil men and then there are the women caught up in the evil and on the run. It’s all happening.